Lots of schools promise to train students to be nurses, technicians or for other in-demand medical careers. But a new federal database shows that isn’t always the case. 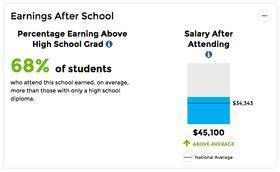 At some schools, only a small percentage of students who attend using federal grants or loans earn more than a high school graduate a decade after enrolling in college. The data links students who received federal financial aid to what they reported earning on their tax forms a decade later. 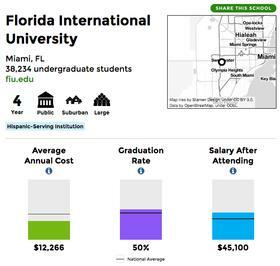 Just one-third of students who attended four Dade Medical College campuses earned more than a high school graduate. Earnings also typically were low for students attending one of Florida’s Bible colleges. Jacksonville’s Chamberlain College of Nursing and Orlando’s Adventist University of Health Sciences had the highest percentage of students earning more than a high school graduate -- and some of the highest average earnings of any Florida college. The data comes with big warnings. Federal graduation rates don't include students who transferred and earned a degree elsewhere -- which typically hurts community college numbers. And some schools focus on low-income students, students who have dropped out or others who have traditionally struggled in school. So using only earnings to compare schools may not be fair. The database has also added lots of demographic data, so you can compare the student bodies at similar schools. The new federal database is part of a broader effort to help students make more informed college decisions. The Department of Education planned Consumer Reports-style ratings for colleges, but abandoned the idea because of the complexity of the data.